I hope you are doing well out there in Blogland. We are buzzing along here. More details to come. I recently saw this guy at the Los Angeles Arboretum and Botanic Gardens. Many peacocks roam the grounds and have no problem attracting attention! Bossy Betty, good to see you back on the blog. I was shocked to see a comment on my very old post. I was hoping I'd find some signs of life around here. Good to see you! Hey Betty! Good to hear from you. We've missed your spirit and snark. CATS IT IS BOSSY BETTY AND WHAT A WAY TO RETURN WITH SUCH A BEAUTIFUL PICTURE!! OH BB WE HAVE SO VERY MUCH MISSED YOU. WE ARE IN THE MIDST OF SOME MAJOR RENOVATIONS HERE. I THOUGHT OF YOU BACK A FEW YEARS AGO WHEN YOU WERE SLEEPING IN YOUR GARAGE. LOL LOL WE AREN'T SLEEPING IN THE GARAGE BUT MADI AND I ARE SEQUESTERED IN HER BLOG OFFICE EVERY DAY. Madi has an open door policy in her office so you can imagine how grumpy she is with the door closed. So good to see a post from you showing up in my feed today. 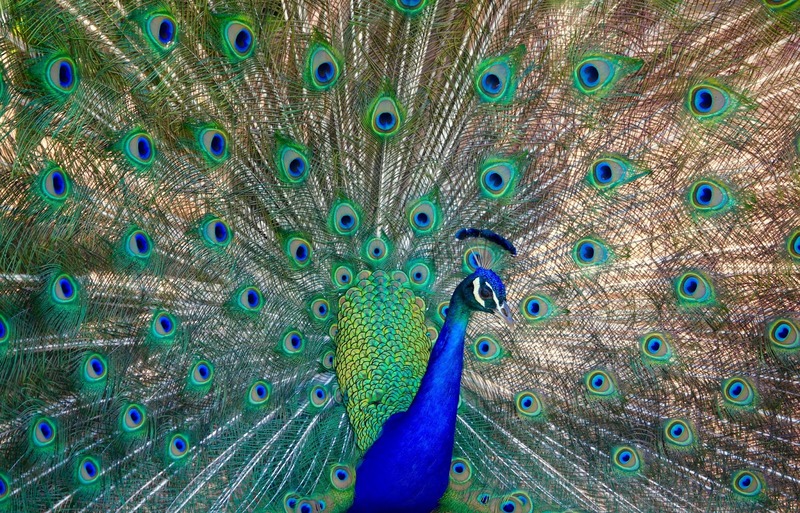 Pretty peacock. After six, yes SIX!, days without internet, imagine my delight to find you posted while catching up! Hope all is well with you. Sending hugs. Oh. My. God. A post!! What a joyful thing! I hope there is more to come, dear friend. Oh, my beloved BETTY!!!!!!! I have missed you SO much - have stopped by often to see if anything was happening in your Blogland, and have sent bits of peace through the universe out to you from time to time!!!!! THanks for checking in - how are you my dear friend? I miss you so very much!!!! (FYI - I have a new hangout online. Sort of put my old blog to sleep. (Just started last month - but my new blog is www.trustingwhispers.wordpress.com - would love to have you stop by if you have any time. If not, I anxiously await more bossy Betty!!!) hugs, love. Truly . . . How are YOU?!?!?!! It's so nice to see you back posting! That peacock photo is gorgeous! What a gorgeous picture of this guy! Peacocks, and Flowers and Turtles, Oh My!